kadhavu manam enRum . . . . thIrndhEn – AzhwAr says that he avoided something which was a huge hurdle for others in attaining emperumAn. 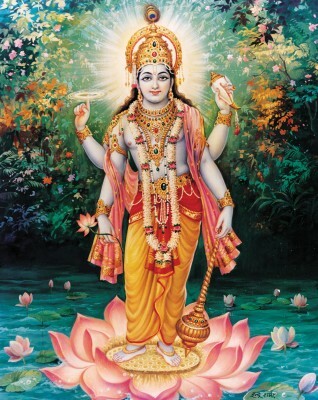 kadhavu manam enRum kANalAm enrum kudhaiyum vinai Avi – Just as it is mentioned in SrI vishNu purANam 6-7-28 “mana Eva manushyANAm kAraNam bandha mOkshayO: I bandhAya vishayAsangi mukthyai nirvishayam mana: II” (it is the heart alone which is the reason for people getting chained to samsAram as well as getting liberated from it; if it is engaged with Sabdha (sensory objects such as sound) etc it is chained and if it is not engaged with Sabdha etc, it is liberated), it is heart alone which acts as a hurdle like a door in seeing the supreme being and it is heart alone which is the means for seeing him. AzhwAr says that he avoided getting an unsteady heart. kadhavu manam enRum kANalAm enRum – did not kaNNan (krishNa) say in SrI bhagavath gIthA 6-5 “Athmaiva hyAthmanO bandhurAthmaiva ripurAthmana:” (it is the heart alone which is friendly towards AthmA (soul) and it is the heart alone which is inimical towards the AthmA)! kudhaiyum vinai Avi thIrndhEn – I avoided getting a heart which was unsteady. The meaning behind this is that AzhwAr obtained a heart which was fully focussed on matters relating to emperumAn. Avi – the word Avi which refers to prANa (breath) indicates heart which is the seat for breath. In the gIthA SlOkam shown above (6-5) the word AthmA, as well as the word uyir in thiruvAimozhi 2-3-1 “Unil vAzhum uyirE” refer to heart. In the same way, the word Avi refers to heart. In the rest of the pAsuram AzhwAr says the reason for his avoiding the unsteadiness which others are afflicted with. vidhaiyAga nal thamizhai viththi – sowing the seed of beautiful thamizh language, without any fault in its literature and grammar, in my heart. kaRRa mozhiyAgik kalandhu – entering inside me as the meaning for the thamizh language that I am habituated with, from the time of my birth. en uLLaththai nI viLaiththAy – Just as it is mentioned in thiruvAimozhi 5-3-4 “nenjapperum sey” in the heart which is the arable land, you, who are without any shortcoming in knowledge or power, sowed the seed of thamizh language as the cultivating farmer and made these pAsurams (hymns) which are like the crop, to grow. We will move on to the 82nd pAsuram next. This entry was posted in iyaRpA, nAnmugan thiruvandhAdhi on September 8, 2018 by T N Krishnan.